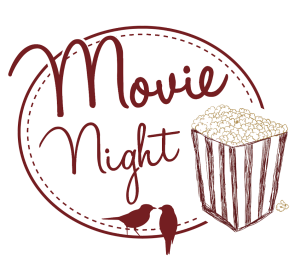 Moga Digital Releases Movie Night! 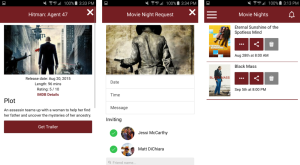 One thing Moga excels in is app development, and we had what we thought was a pretty neat idea. So we ran with it. 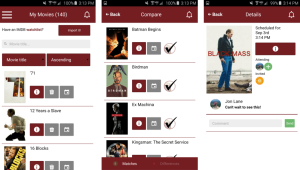 Movie Night is an app for Android and iOS that allows you to create a list of movies you know you want to see. After that, you can connect with friends who are also using the app and have the app compare lists for you. 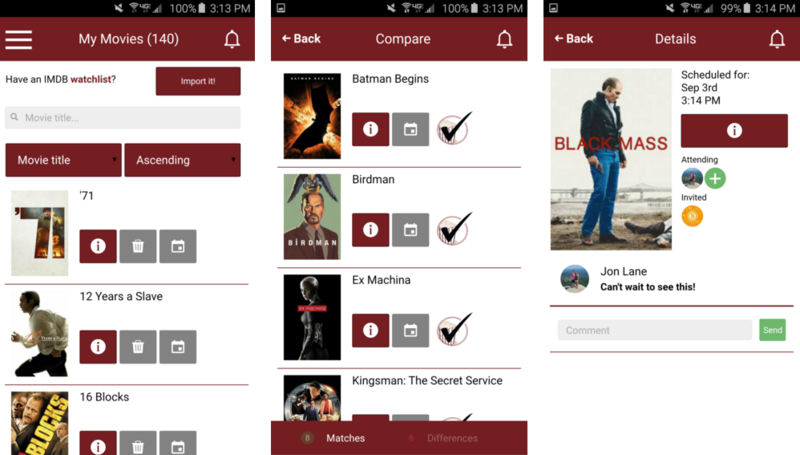 This identifies what you and a friend both want to see, making deciding on a movie much easier. You can download it for Android or iOS by visiting the website. 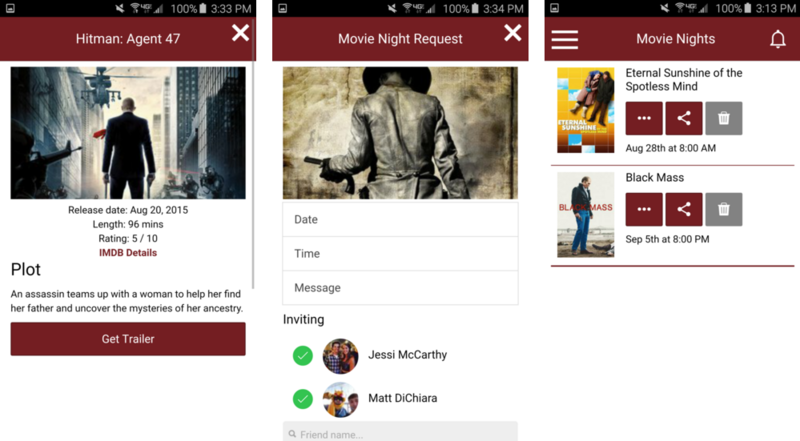 Above are some screenshots, showcasing some of the key features of the app. 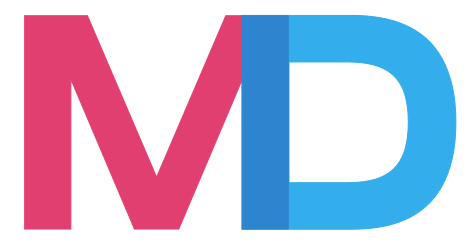 Along with manually adding movies from the search page, you can also import an IMDB watchlist that you may already have been making over time. After you have a list, you can head over to your connections and select a friend to compare your list to. You will be presented with 2 tabs for matches and differences, with a Movie Night seal of approval for movies you have in common. This seal will also appear in other lists if things match up. 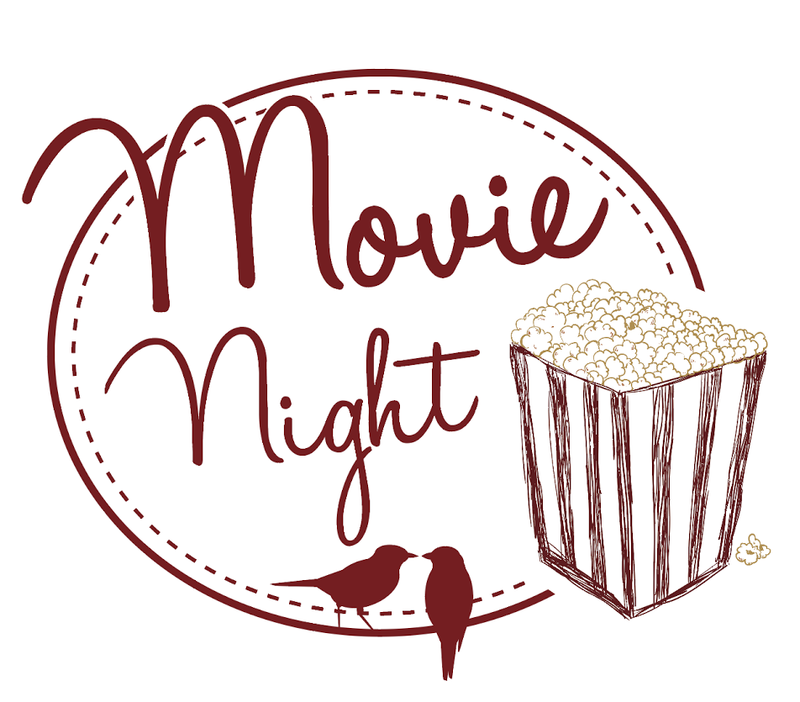 Once you find a movie you can invite one or more people to watch it! You can then leave comments on upcoming or past movie nights to talk about how great it was! Again, You can download it for Android or iOS by visiting the website. This entry was posted in Apps, Portfolio and tagged android, app, ios, moga digital, movies. Bookmark the permalink.